Comments Off on What to do with incoming support interactions. Have you chosen your cheetah? Promptness: SYNCRO is designed to be instantaneous, don’t give the turtle texter a cheetahs job. Answer incoming interactions before Chat Rescue clicks in whenever possible. Friendly: No one wants to interact with a grumpy Gus, in person or via chat. Make sure they understand business etiquette and are aware that their responses are being funnelled back to a website chat window. They aren’t just texting back their buddies about where the game is on that night, so keep the texting slang to a minimum. Chat windows will quickly close due to the perception that you don’t care about their business or don’t have the time to respond to an incoming interaction. Make sure to be personable with phrases like, thank you for your interest, how may I help you, and how are you today – show some general genuine interest in the fact they are trying to make a connection. Knowledgeable: Sure they are fast on the keys, but above all else they should know the business inside and out or at least where to direct messages they can’t answer. This is why farming out your responses to a third party is also a big no no. Does your cheetah have ears? 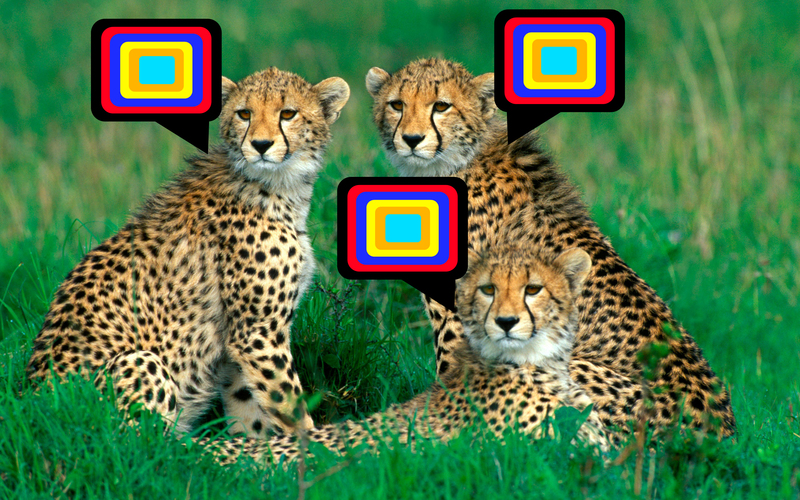 Now that you have your smart, friendly cheetah in place, you must ensure that they have ears. Why do they need ears you ask? Because they need to listen. Listening is key when identifying how an existing customer is giving you queues to swoop in for a sales opportunity. These sales queues will not be presented in the most obvious fashion of ” Hey you, I want to buy this widget.” But will be presented in mysterious ways, which you must decode. In most cases they will likely come through as an objection to something they have already bought from you (service included). It’s up to you to listen to those objections and decide if there is an opportunity to up sell into another product or add on other products that will help bring that customer back around to your side. Customers want choices. We all want choices. So give them some well though out choices related to your product offering and put the customer back in the drivers seat. Once you serve them their choices you will need to sit back and listen once more. If you’ve done your job correctly you will find your self at the next juncture. At this point, if you’ve done your job right, listened for sales queues and asked the right questions in a friendly manner, then your client should do this next part for you. What’s the next part? Closing the sale. The customer should start making statements such as: how much, how long and when can we, these are your queues to go in for the kill. Set up a face to face meeting, ask for that credit card to get started, whatever it takes to get the job done. Your customer is ready for business time! They didn’t give me a queue. Don’t fret, it’s not over yet! SYNCRO captured all of their contact data via text, email and Chat Vault so you can follow up with them at a later date and make sure that they are happy with the outcome of your recent interaction. Use it to your advantage and follow up with your clients regularly. Clients are your clients for a reason. They love what you do, they believe in what you do and they want to hear more about what you are doing next. Don’t let them down and forget to follow up. Now get out there and embrace those support interactions and start thinking of them for the sales opportunities that they are.